Explore a mysterious cave full of treasures with your duck friends. Be fast and be ready to face a lot of challenges, but the reward will be worth it! 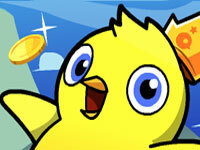 Tell us what you think about Duck Life: Treasure Hunt. Leave a review or share a tip.